On Sept. 1, a SpaceX Falcon 9 rocket exploded dramatically on the launch pad during fueling operations as the rocket was being prepared for a static firing test. The actual cause of the explosion is not yet known, but there’s a lot of speculation flying around now about possible sabotage. That’s certainly attention grabbing, so let’s poke at it and see what oozes out. Here’s what does seem to be known about the explosion: SpaceX has found that the explosion happened in the Falcon 9's upper stage helium system. The helium system is used to pressurize the fuel and oxidizer tanks so they remain structurally sound as fuel and oxidizer is depleted. Specifically, the blast has been traced to the upper stage’s cryogenic oxygen tank, which contains a number of highly pressurized helium vessels. 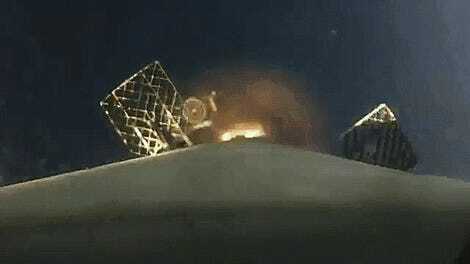 The Falcon 9 was still being fueled, and none of its engines had been ignited. Based on studies of the debris, it looks like one of the high-pressure helium lines ruptured, starting the process that ended in that massive fireball. The question is why did that line rupture, and that’s where the conspiracy theories come in. The main target of these sabotage theories, and the one looked into by SpaceX, is the United Launch Alliance, a company formed in 2006 by Boeing and Lockheed Martin to handle launches of rockets like the Atlas and Delta. 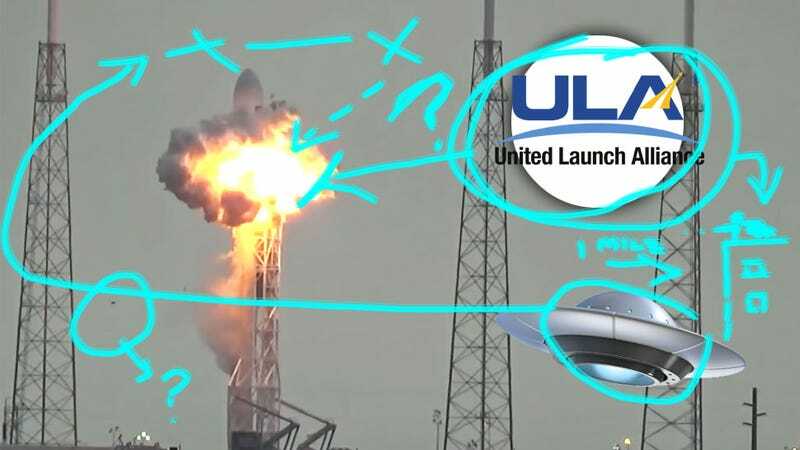 ULA is the prime suspect because they have a facility, hilariously known as SMARF (Solid Motor Assembly and Readiness Facility) that’s only about a mile away from SpaceX’s Launch Complex 40 where the explosion took place. SpaceX investigators claim to have seen “an odd shadow and then a white spot” on the roof of the SMARF building when reviewing the video footage, and to intrigue-hungry internet-dwellers, that can only mean a rooftop sniper, hired by the ULA to settle this Musk character’s hash once and for all. Eventually, ULA allowed the Air Force’s 45th Space Wing investigators access to the roof, and they were not able to find anything out of the ordinary. So, we have a suspect noise and some suspicious video dots. But no hard evidence. Of course, it’s incredibly unlikely that ULA would have some roof-stationed sniper with instructions to shoot the Falcon 9 rocket and make it explode. Yes, ULA has a motive, since they’re an old-school competitor and SpaceX has the potential to take away a good portion of their space-launching business, since SpaceX (at least right now) has much cheaper pricing. But actually hiring a guy to shoot a rocket just isn’t really how Boeing or Lockheed tend to play. As unlikely as sabotage actually seems, it’s worth noting, as others already have, that a narrative that suggests sabotage is beneficial to SpaceX. Suspicion that outside sources may have caused the accident deflects blame from any internal or technical issues SpaceX had. In the same way I think actual sabotage was highly unlikely, I don’t think there’s any official SpaceX plan to further the idea or narrative. 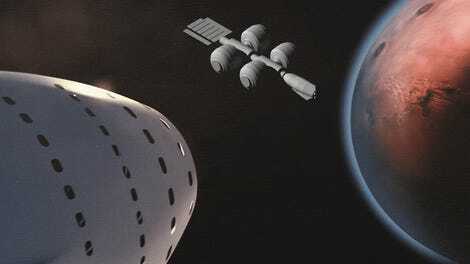 But I suspect the real conspiracy here may be that SpaceX doesn’t mind this line of speculation, either.